Spring pine cones aren't mentioned much, despite their glorious lines and shapes and contrasts of colour. 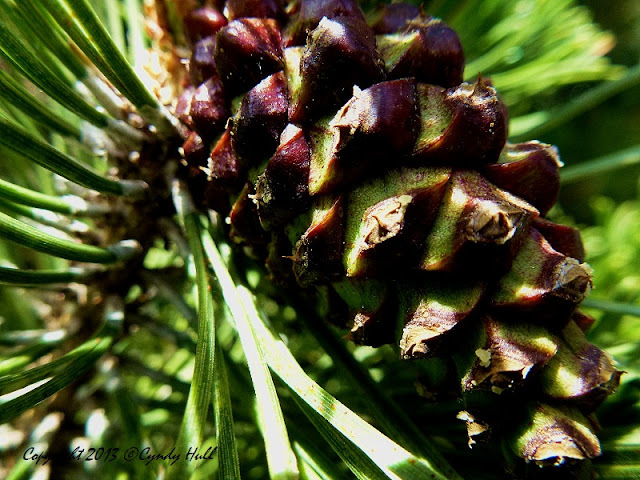 But here's a lovely and thoughtful poem about family patterns and pine cones by Australian author Jennifer Strauss, “Pine Cones and My Grandmother”. At barbs on the wire fence.